Jesus gives us a complete training program in prayer recorded by Luke. In Luke 11:1-2, he offers the experience of prayer. Prayer is first caught, only then it is taught. Second, he gives them an outline, a template for prayer. Third, he tells a story loaded with prayer principles. Fourth, he amplifies on the principles in the story, by teaching. Finally, he offers graduate level principles on interference issues in prayer. Let’s look at each of these. First, Jesus allows his disciples to experience prayer. He allows them to experience a deficit in their own praying. He doesn’t teach into a need that they don’t realize they have. 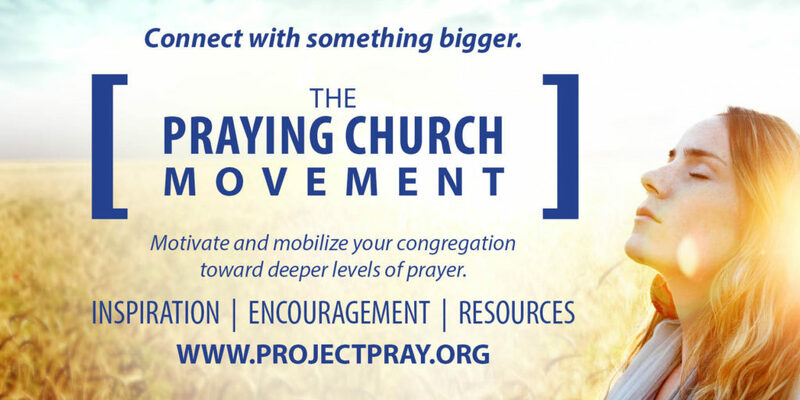 He cultivates a hunger in them for prayer – by exposing them to the experience of his praying. Second, he offers a model for prayer. What follows is Luke’s version of what we have traditionally called “The Lord’s Prayer.” In truth, it is “the disciple’s prayer,” our prayer. It is both a prayer to be repeated, and a template for prayer. The prayer can be prayed multiple times in less than a minute. But endless repetition isn’t the goal of praying. The rabbi’s used “Index Prayers.” They were common among the Jewish people. The words of the prayer were meant to be memorized, but each line then became the clue for extended, extemporaneous praying. Jesus is offering a model to be used, but deeply personalized. Index prayers provided a kind of outline for Spirit-led, Bible-based praying. Our Father in heaven, hallowed be Your name. Your kingdom come. Your will be done on earth as it is in heaven. Give us day by day our daily bread. And forgive us our sins, for we also forgive everyone who is indebted to us. And do not lead us into temptation, but deliver us from the evil one. Luke’s version omits the doxology – “for thine is the kingdom and the power and the glory forever and ever! Amen.” Matthew includes it. Don’t doubt for a moment the validity of such a wonderful conclusion to the prayer. Luke’s omission is a mystery. Notice the details of the prayer. Never once in the prayer do you find “me,” “my” or “I.” Instead, you find “us,” “our” and “we.” I can’t pray without including you. No one can pray without thinking of others. This is not a prayer to be prayed from the end, but a prayer to be prayed from the middle. It is not an exclusive encounter with God, but an inclusive encounter that connects God, through me, to others. The whole prayer is from the middle position. It is as if we were praying for the whole world – “Let your kingdom break into our time-space world.” This is a cosmic prayer. It is much bigger than our typical prayers. We are often consumed with praying our narrow slice of pain. Here, prayer is the opening of some celestial doorway that invites God’s reign into an otherwise tormented and tumultuous world. It is by this prayer, that physical needs are met – daily bread; that emotional and relational gaps are healed – forgiveness; that the hand of the Evil One is stayed – and in the spiritual dimension of tests or temptations to sin, we find grace to sustain and holiness of heart.